Disclosure: This is a sponsored post, in conjunction with Hasbro and Life of Dad, LLC. I was provided with products, and received compensation for participating in this promotion. Ever since I saw RETURN OF THE JEDI in theaters as a kid, I knew I would be a STAR WARS fan for life. What kid didn't want to #CommandtheForce and have a real light saber battle or force push their younger sibling out of the way? I collected STAR WARS action figures and trading cards, but unfortunately as I grew up my collection was lost. Years later, as a I held my baby daughter in my arms, I knew I must pass on this legacy to her and other children I might have. 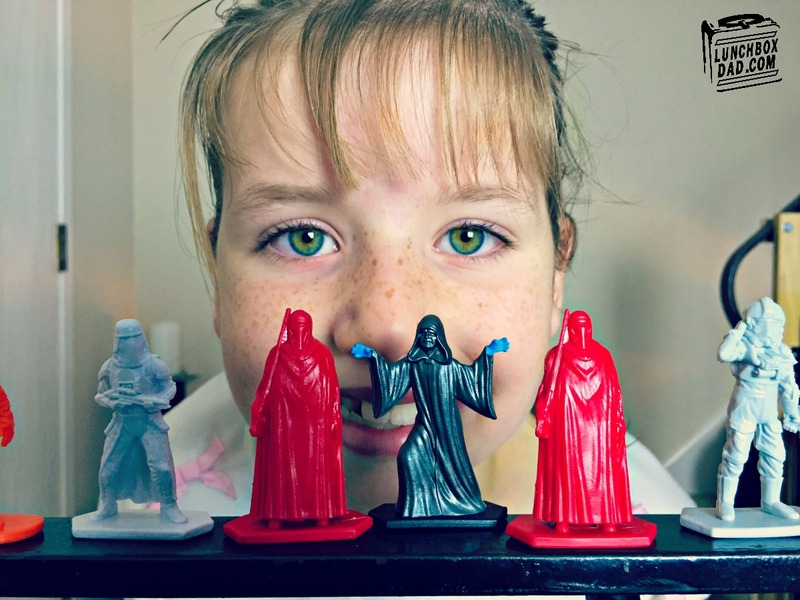 I took her to see THE PHANTOM MENACE in 3D in theaters and she was hooked. My son also took to STAR WARS like a fish to water. Needless to say I was much more pleased than the Emperor observing the construction progress of the Death Star. When the STAR WARS COMMAND line of collectible-sized figures and vehicles came out, it was like they were designed for my family. Let's be honest, one of the best things about being a parent is being able to get on the floor and play with your kids, especially when the toys you are playing with make you nostalgic about your own childhood. For me, they brought back great memories of playing with army men and action figures while my kids were brimming with excitement over the amount of characters and vehicles in each package. We tore into those boxes like it was Christmas day. 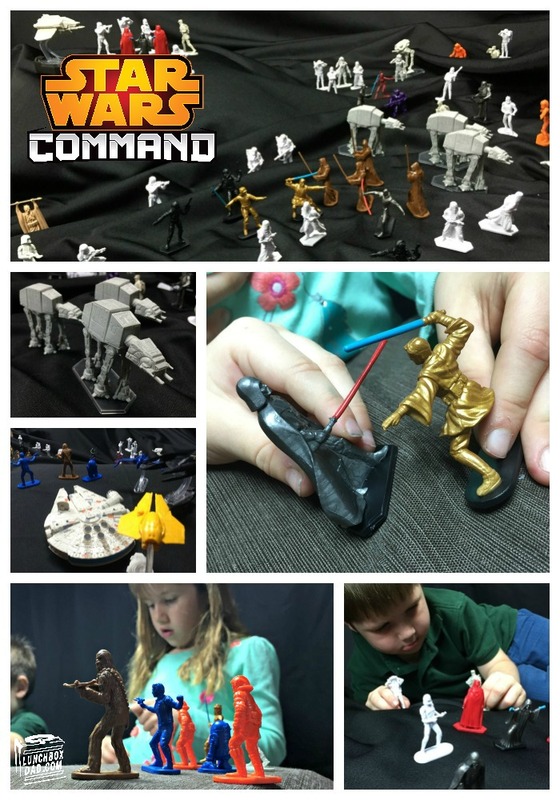 We don't have any elaborate backgrounds or structures, but the beauty of the STAR WARS COMMAND toys is that you only need your imagination. We threw some books on a table and the floor for mountains and covered everything with blankets. From there we staged the most epic STAR WARS battle I have ever been a part of. Han Solo and Chewbacca were fending off Storm Troopers. Darth Vader and the Emperor commanded their forces to march upon the Jedi. At-At's and Snowspeeders faced off in a battle unlike the galaxy had ever seen. The force was used on both sides, but in the end there could only be one winner. That winner was our family. 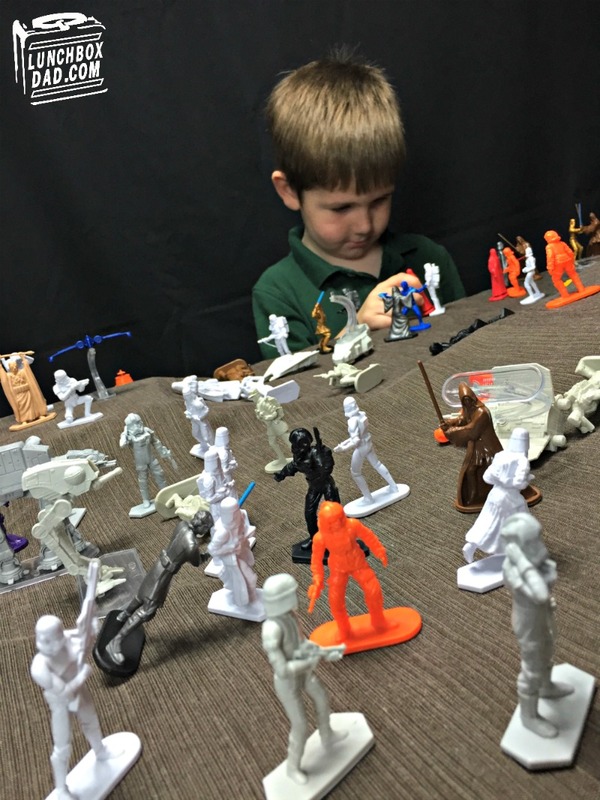 My kids and I continually bond over STAR WARS and these figures and vehicles are something that we will use to come together over and over again. Here are some of our favorite features. The figures are fixed in their position but they are so detailed. You can clearly see Anakin's angst and the stoic commitment of the Emperor's Imperial Guard (THE most underrated characters in the STAR WARS saga). You can combine classic army figure play with all of your favorite collectible characters. Have I mentioned the vehicles? The ships come with stands so they "fly above" the field of battle. Of course what war simulation would be complete without the incomparable Millennium Falcon? This starship actually can be placed on the kitchen floor, pulled back, and shot into hyperspace at lightspeed! Okay, maybe not quite that fast, but pretty quick nonetheless. 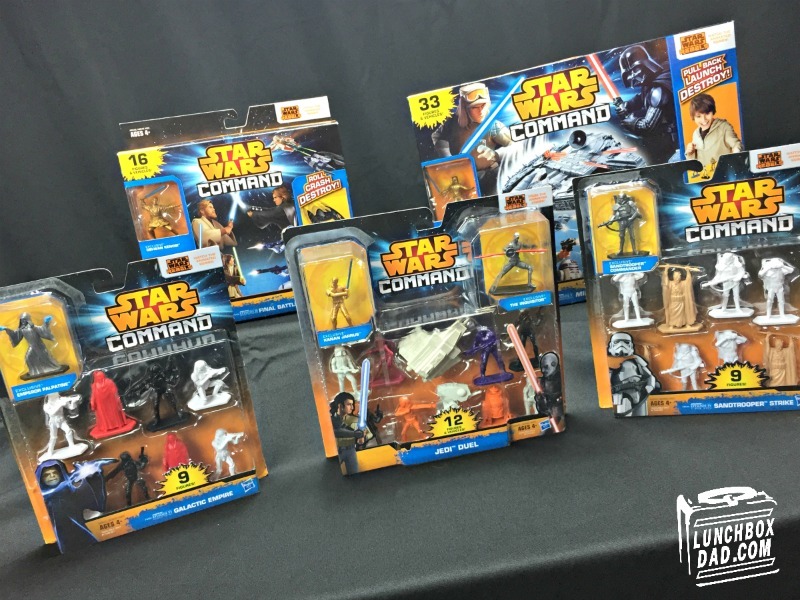 Packs of STAR WARS COMMAND sets start at $4.99 at many local stores, so you don't have to spend tons of Galactic Credits in order to amass an army that even General Grievous would think twice before going up against. You can start smaller with "Battle" and "Versus" packs or go big and choose the "Invasion" and "Epic Assault" packs. Of course, the Millennium Falcon set is a must have. Our next goal is to collect the Star Destroyer set with the flagship of the Galactic Empire which is remote controlled. Which set should you choose? The choice is yours. Or maybe I should say, "Wisely choose you must." My recommendation is to pick up a few of these sets and spend some quality playtime with your kids this weekend. 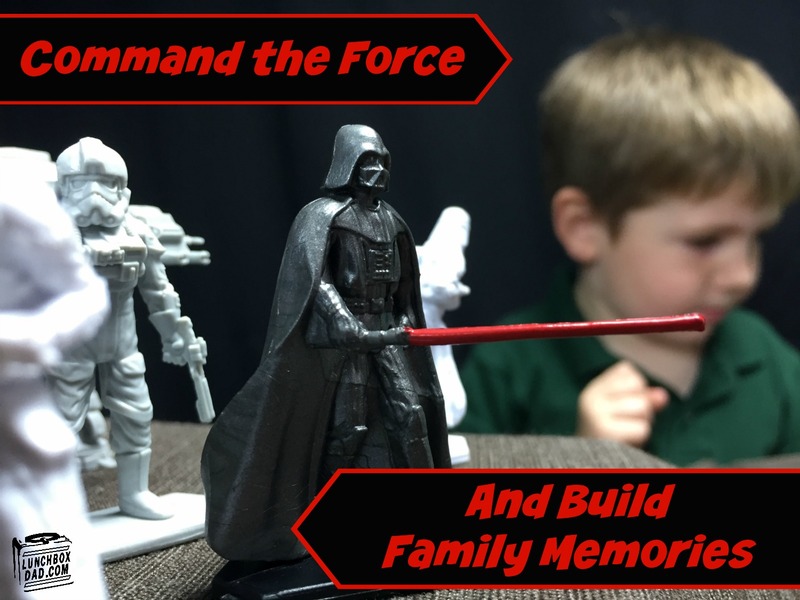 You will build memories that your family will never forget, even if they have their memory wiped like C-3PO at the end of episode 3.